MATCH REPORT: Storm Beat Steelers in New Years Day, Winter Classic! Your Go Goodwins Manchester Storm are delighted to announce that for the fourth consecutive year, our annual New Year’s Day fixture was a sell-out. This was also the highest attended fixture in the rinks history. The club would like to thank everyone involved who bought a ticket, and showed up loud and proud last night. 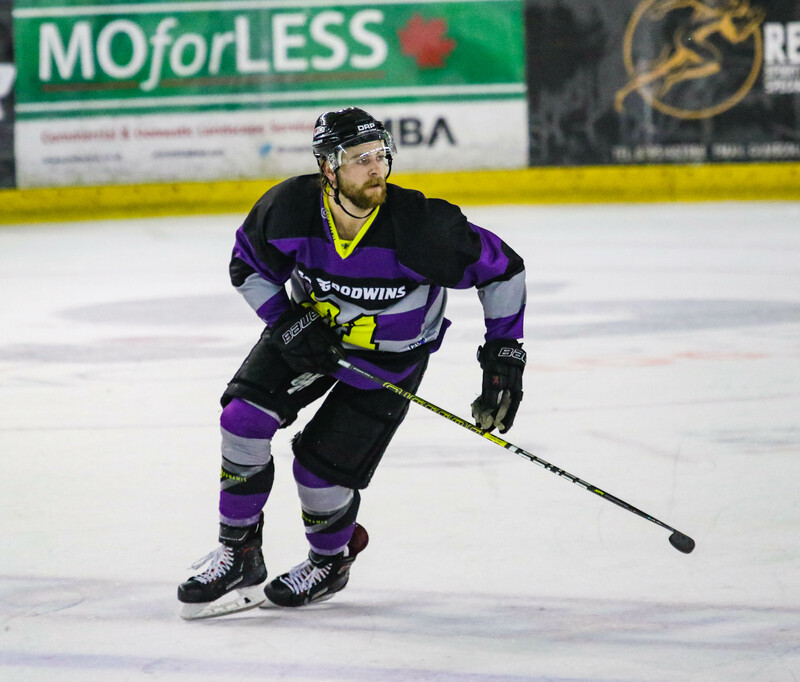 After Storm faced the Steelers in Sheffield last Saturday and the final score 6-4, Storm would be doing everything they could to get the two points at home in last night’s special themed Winter Classic game. They came onto the ice wearing special one of a kind jerseys, dedicated to Manchester’s hockey heritage. The first period didn’t begin in Storm’s favour last night, as Steelers’ DeLuca scored in the first minute of play with a top shelf shot. The goal went under review, but was given, Pitt and Martinelli both getting assists. Less than a minute later, the same line found their chances once again, DeLuca putting the puck past Ginn – Pitt and Martinelli with the assists. With being two goals down in just 74 seconds, Storm would really need to push hard for the remainder of the game in order to level up. It was Steelers who took the first penalty of the evening, handed to Martinelli for hooking at 6:35. This was the precise moment Storm wanted, as they narrowed the score on the powerplay. Hammond found his moment, with a wrist shot through traffic at 7:34, Moffatt and Ehrhardt both claiming assists. Momentum picked up on the ice from there; the play going back and forth with a mixture of some fancy stick work and both netminders pulling off some fantastic saves. There was just less than a minute of play left in the first period, when Storm equalised the scoreline. It was Ehrhardt, who pulled off one of the best goals of the season so far, travelling coast to coast putting the puck in on a backhander past Climie, unassisted at 19:41. Less than two minutes into the second period Steelers went back up on top when DeLuca sent the puck home, claiming his hat-trick at 21:26. There were a few breakout opportunities via mid-ice turnovers for both teams during the second, neither team managing to claim another goal. Storm received their first penalty of the evening when Moffatt was sent to the box at 25:23 for roughing. 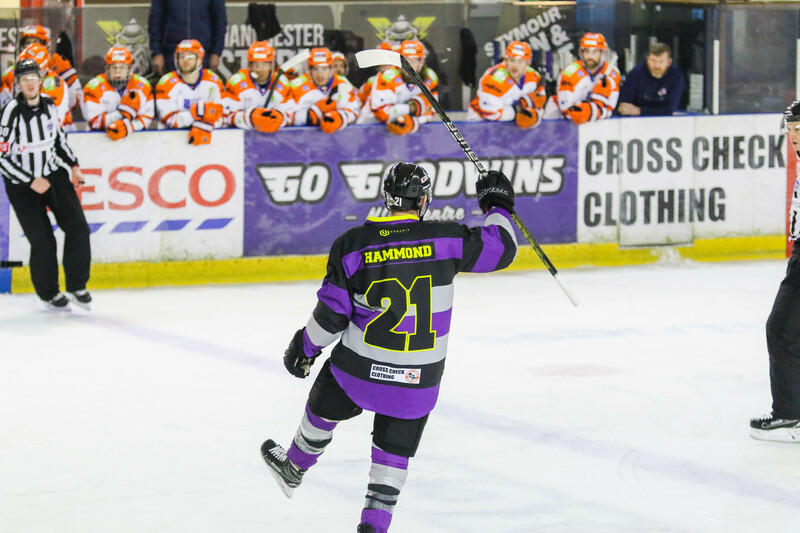 It was a solid penalty kill for Storm, as Steelers pushed forward hoping for goal four. Storm then went on the powerplay just five minutes later, when Dowd was sent to the box for slashing. There was a couple of two on one opportunities for Storm, some skilled plays and positioning. However, they were unable to equalise. At 32:17, Byers received a penalty for use of illegal equipment. The buzzer sounded for the end of the second period, neither team managing to score another goal and the scoreline sitting at 3-2 to Steelers. Climie was pulled in the final two minutes, in favour of an extra man on the ice. It was then that tensions rose, resulting in Moffatt and DeLuca both being handed two minute minor penalties for roughing. With Steelers unable to pull back any more goals, the game finished with Storm victorious, claiming their first competitive home win and their first New Year’s Day win against Steelers, since re-forming in 2015! Man of the match for Steelers went to #15, Anthony DeLuca. The OSC Player of the Month Award went to #89, Ciaran Long! Join us for The Storm’s next home game, as we face visitors – The Nottingham Panthers, 6th January, 17:30 face-off. Don’t forget the special game worn Winter Classic jerseys will be online via Storm Sports Store from 17:00 today! They’re priced at £150 and will be signed by the player who wore it.